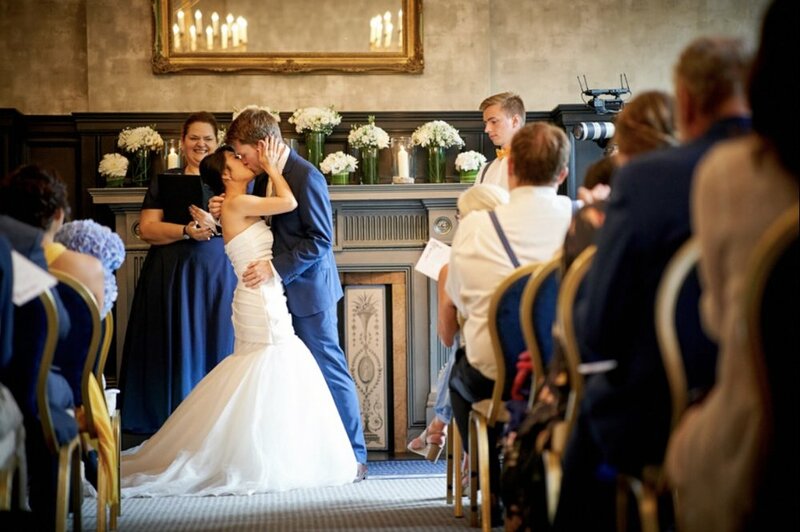 Last Saturday's wedding ceremony was full of love, romance and lots of emotion! I met Jane and Henrik earlier this year and was immediately struck by the depth of their love! 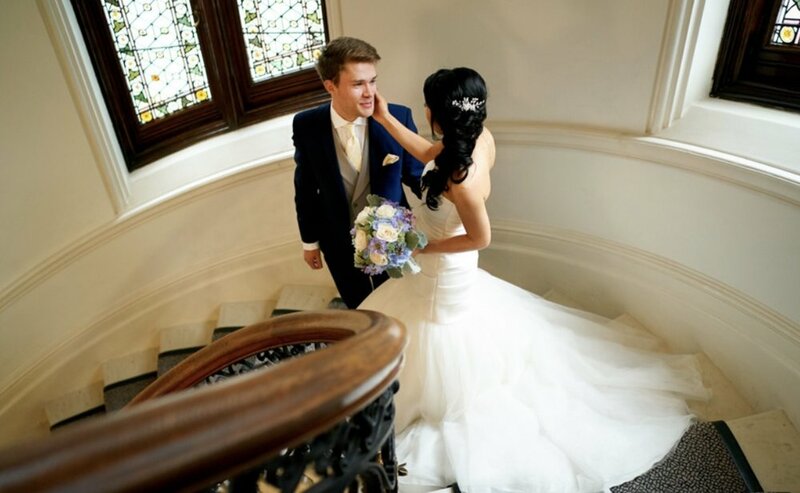 Their story began when they first met at a hidden and cosy café in Hong Kong. What was supposed to have a been casual coffee date turned into an intense discussion about life and their shared passion for strategy, behavioural psychology, and travel. Henrik and Jane then met up the very next day for another date, this time it turned into a marathon of a date because there was just so much to talk about and neither wanted to say goodbye! As Jane said to me, it sounds so cheesy, but we all need a little cheese in our lives! That they have both uprooted themselves from beautiful Hong Kong and moved back to Europe together is a huge commitment but also an affirmation that this is a love that is meant to be. Although I’ve only known them both a short time, I am in awe of their individual and shared accomplishments, their love for each other and their deep desire to leave the world a better place than they found it. Henrik told me, the world seems calmer, clearer and more settled since he fell in love with Jane. The love that Jane + Henrik share is genuine, unconditional and so very inspiring. They draw you into that sense of unconditional love for all when they meet you and are just a joy to be around! 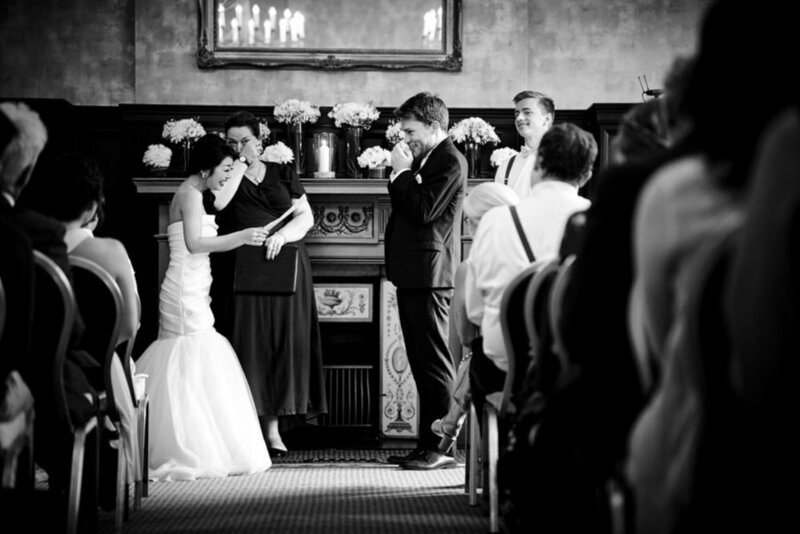 Their wedding ceremony took place in the Virginia Woolf Room at Bloomsbury House in London. As a literature buff, I was thrilled to be in such a special space! 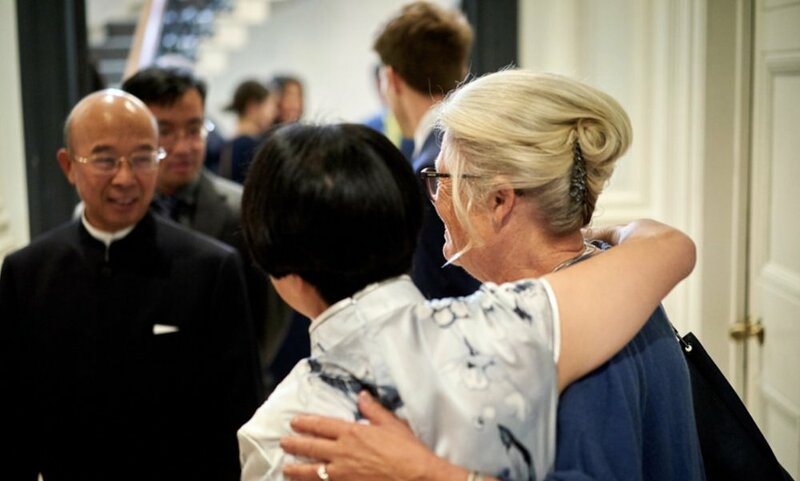 Guests travelled from across the world to celebrate Jane and Henrik's wedding day. There was such an upbeat, friendly and loving atmosphere as their families and friends came together for the first time. Of course, Jane looked absolutely stunning and I will never forget Henrik's face as he watched his bride walk down the aisle towards him through a haze of tears....tears which I have a feeling everyone in the room shed that day! Jane and Henrik chose to write their own vows. They both poured their heart and soul into their words which they shared with such authenticity. I admit - I struggled to hold back my tears too. It's so very clear that theirs is a love that was meant to be. Martin Beddall was the photographer for the day and he's pulled together some absolutely outstanding shots of the day. Check out his blog on the day! 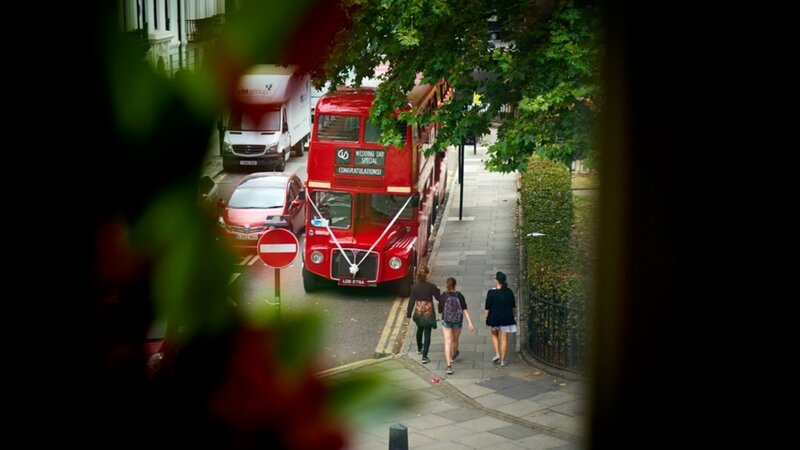 As a surprise, Jane + Henrik arranged to take their family and friends on a bus tour of London en route to to the wedding reception and this gave Martin the perfect opportunity to snap some great photos! 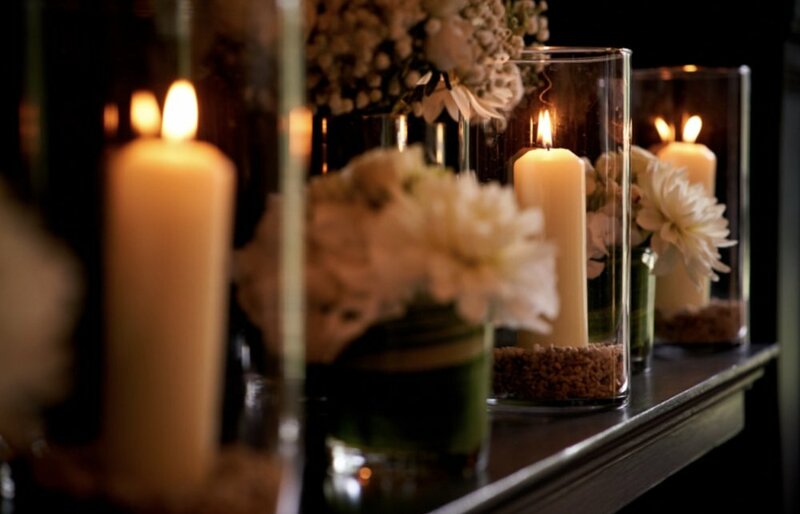 As a celebrant, I love the process of helping a couple prepare for their wedding day. Crafting their hopes and dreams into a ceremony that reflects who they truly are as individuals and as a couple...and how they see the world. In some ways it is such an intimate act. You get to know what makes them tick. They take you into their hearts too as trust is built. Yet the time in preparation passes so quickly and there, in a flash, they are before you for a mere few minutes before going off into the world on the start of the next stage in their lives together! It truly is an honour to do this work and to celebrate love! "Miranda was a joy to work with throughout! She had invaluable tips for the ceremony and for the big day in general. Knowing that she was in our corner took a lot of the wedding planning stress away. Thank you for being such a warm, sensitive, patient, and lovely presence throughout. We've had sooo many of the guests come up and tell us that the ceremony was an absolute highlight and also received many many comments saying it was the best wedding they'd ever attended. We are so grateful. THANK YOU, MIRANDA!!"